Joules gifted the items featured in this post, but all opinions are my own. Would you believe me if I told you I never owned a quilted jacket until now? I just never got around to buying one, so when Joules asked me what products from their site I wanted to test drive, this quilted hooded jacket was at the top of the list! I also picked out a really cute pair of wellies for days when I want a bit more whimsy in my rain gear. Winter is on the horizon (okay, we still have a couple weeks to go, but the weather is certainly veering in that direction) and Joules has an amazing selection of jackets, dresses, rain boots and faux fur pieces, perfect for your Winter wardrobe. Their children's clothing is also making me wish I had kids to dress: SO adorable! Just look at how cute this little boy's fox sweater is. See how I styled both my new pieces below! Ooooh, I love that jacket!!! It looks great on you. How perfect is the colour? nice looks!! u look so cute! 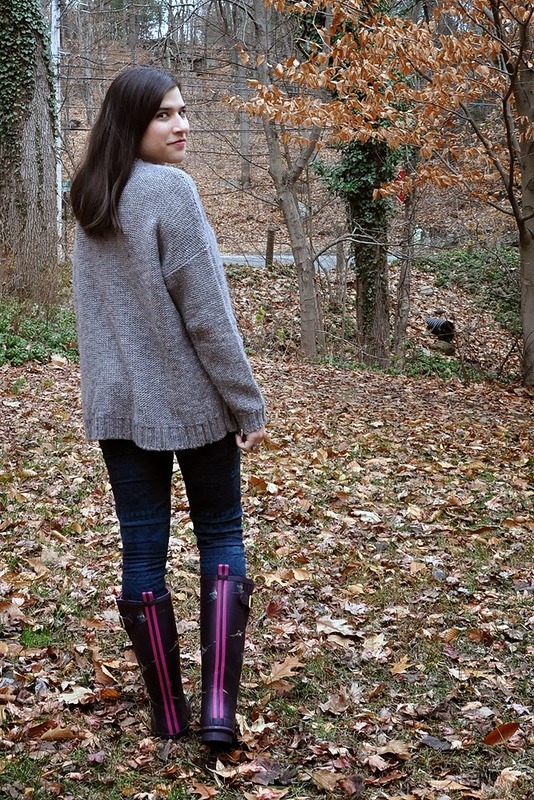 The rain boots are so beautiful, I love the dark tone and the print! You look lovely, And your boots are so pretty! I adore that jacket, I think because I have a super similar one sitting in my closet because it is never cold enough :) Love those rain boots too, very fun and not boring. Hope you have a great weekend!! Super cute jacket!! I really love the boots too! That coat looks great on you, and fits perfectly into your color pallet. 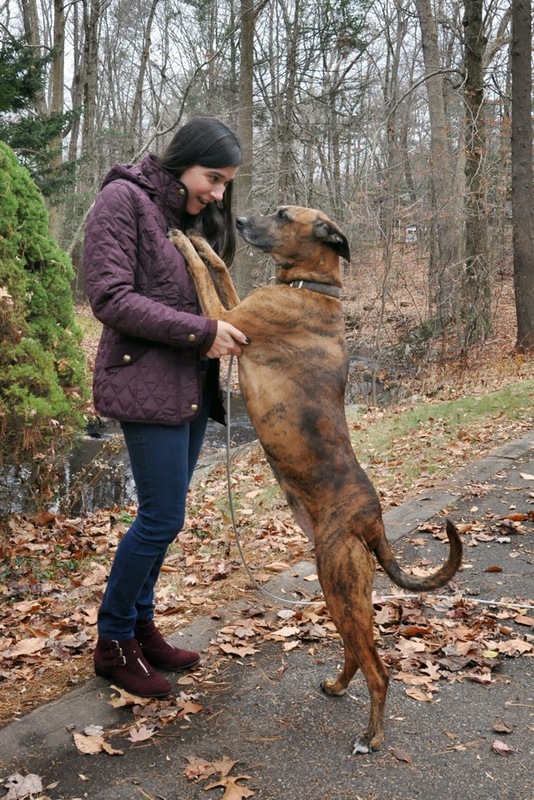 Love the shot of you and layla! 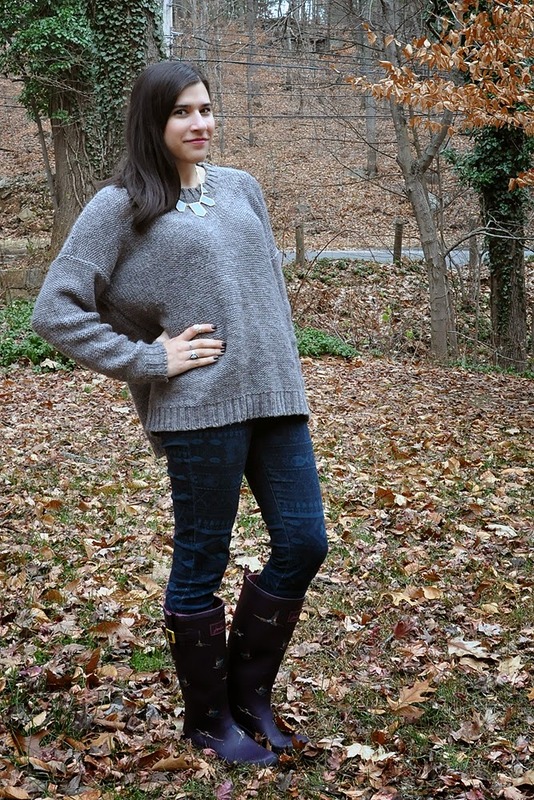 Lovely looks...especially love the way you styled those super cute rainboots! Also, the photo with your dog is so sweet -- love it! Your dog is the cutest! And I love those purple wellies! Great jacket, but I've got my eyes set on those amazing boots.